Here is a heads up for a recent study demonstrating – again – that the amygdala is not merely a “fear centre” in the brain. I have previously blogged about the amygdala, first not being a single structure, and that it is not only involved in fear. Very few studies in humans have quantified the effect obtained after direct electrical stimulation of the amygdala, in terms of both emotional and physiological responses. We tested patients with drug-resistant partial epilepsies who were explored with intracerebral electrodes in the setting of presurgical evaluation. We assessed the effects of direct electric stimulations in either the right or the left amygdala on verbally self-reported emotions (Izard scale) and on psychophysiological markers of emotions by recording skin conductance responses (SCRs) and by measuring the electromyographic responses of the corrugator supercilii (EMGc). According to responses on Izard scales, electrical stimulations of the right amygdala induced negative emotions, especially fear and sadness. In contrast, stimulations of the left amygdala were able to induce either pleasant (happiness) or unpleasant (fear, anxiety, sadness) emotions. Unpleasant states induced by electrical stimulations were accompanied by an increase in EMGc activity. In addition, when emotional changes were reported after electrical stimulation, SCR amplitude for the positively valenced emotions was larger than for the negative ones. These findings provide direct in vivo evidence that the human amygdala is involved in emotional experiences and strengthen the hypothesis of a functional asymmetry of the amygdala for valence and arousal processing. Interestingly, there is more to say about this study. First, it may be that there is a systematic bias introduced by the way the researchers did the study. By using high-frequency (50 Hz) stimulation in 1 second, they might have induced one characteristic response of the amygdala. This structure is often seen as having quick “on-off” responses. Thus, one second pulse trains is actually a long duration for the amygdala. So a pulse of 20 milliseconds could be hypothesised to produce different responses. Also, the researchers found that GSR responses were actually larger for positive emotions, when they were reported. As the amygdala has often been implicated in unconscious emotional responses (mostly aversive responses) one may speculate that the left-hemisphere amygdala involvement in positive emotions may be related to conscious emotions. As always, new findings leads to numerous novel questions, ideas and hypotheses. Which is why science is so much fun. But it is important to note the change we see today the role of the amygdala in emotional responses. We are moving away from the LeDouxian paradigmatic focus on fear (and some aversion)as the sole emotion of the brain, and more towards a balanced view towards a similar focus on positive emotions and (hopefully) more complex human emotions. Through this development, we can see that novel findings are breaking down the old ideas of neo-phrenology, breaking single structures into smaller parts, and into parts of a larger network of convergence and divergence structures. Keep your eyes open, more is on the way. I just found this through mindhacks, and thought it was nice how well this illustrates the amazement one can get from witnessing neurological injury and disease. Through my early clinical practices, I’ve seen several kinds of unilateral neglect, blindsight, amnesias, aphasias, weird dementias (Wernicke-Korsakoff, fronto-polar, Parkinson Plus), and youtube may be the place to find good illustrations of this to the general public. That almond-shaped structure we call amygdala is typically thought of as solely (or mainly) involved in negative affect. However, some studies have suggested that the amygdala is also involved in other processes, such as novelty (of faces). It should come as a big surprise, however, to many researchers that this structure is also involved in positive emotions. It runs counter to many ideas and interpretations of amygdala activation in, e.g., fMRI studies. The research reviewed is, as always in the case of Murray, well supported and yet controversial. To anyone studying emotions and reward, it’s a must-read. But even to people studying other functions and regions, it’s a principal discussion and a well-needed lesson in the still-present oversimplified neo-phrenology seen in cognitive neuroscience. So next time you see the amygdala light up during a brain scan, resort from interpreting it as a sign of anxiety or fear. This year’s annual question at Edge was, “What are you optimistic about?”. 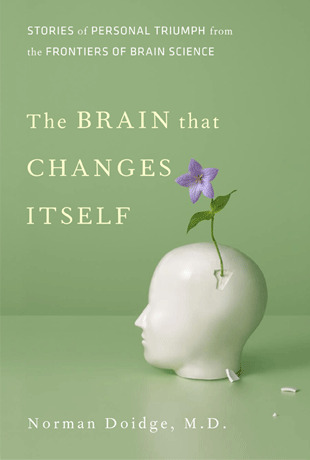 Now, Brockman has asked Eric Kandel to outline the four neuroscience breakthroughs made in 2006 that makes him optimistic about our future possibility of understanding the brain. The first breakthrough is research into the role of microRNAs in the formation of synapses. The second is research into the encoding of external space in the hippocampus and the entorhinal cortex. Kandel’s third choice is research into social interaction, including Rebecca Saxe’s imaging studies of Theory of Mind, and Barry Dickson’s discovery that if the male form of the protein fruitless is expressed in female Drosophila, the females will display male courship behaviour. And his fourth is the possibility, through neuroimaging and other new techniques, of understanding the effects of psychotherapy on psychiatric diseases. All four advances are clearly great causes for optimism. But maybe there are other breakthroughs worth mentioning? What about research into decision-making, or comparative genetic studies casting light on the evolution of the hominid brain? I bet that you readers have your own suggestions. Please share them with us in the comments section.